It is that time of the year again, when we find ourselves wondering what this spiritual retreat called i’tikaaf is. Here are the answers to some of the rumours you hear! 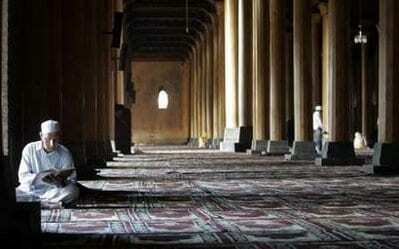 It is devoting oneself in a mosque for a specific period of time for prayers, supplication, reading Qur’an and invocations, and disconnecting from worldly occupations. A’ishah said: “The Prophet used to observe i’tikaaf during the last ten days of Ramadan until his death, then his wives observed i’tikaaf after he was gone” [Bukhari]. I’tikaaf is a Sunnah act, not obligatory, unless one made a vow to do it, in which case it becomes obligatory; because the Prophet said: “Whoever vows to obey Allah, let him obey Him, and whoever vows to disobey Him, let him not disobey Him” [Bukhari]. What are the conditions of i’tikaaf? Is fasting one of them? Is it permissible for the person in i’tikaaf to visit a sick person, accept an invitation, attend to his family’s needs, attend a funeral, or go to work? 1.Staying in the Masjid – So the Sunnah for the mu’takif (the one doing i’tikaaf) is to not engage in the usual worldly preoccupations outside the masjid, because it has been reported that A’ishah said: ”the Sunnah for the mu’takif is not to visit any sick person, or attend any funeral, or touch or be intimate with any woman, or go out for any reason except that which can’t be avoided” [Abu Dawud]. The phrase “except that which can’t be avoided” means not to leave except to enter the house for things that person needs when observing I’tikaaf, or in cases of emergency. • Imam Ibn Qudaamah said: “What is meant by things that a person needs is to urinate and defecate, because every person needs to do that. Similarly, he also needs to eat and drink. If he does not have anyone who can bring him food and drink, then he may go out to get them if he needs to. For everything that he cannot do without and cannot do in the mosque, he may go out for that purpose, and that does not invalidate his i’tikaaf, so long as he does not take a long time doing it.” The scholars have said if the mu’takif goes out to do his work, this is something that invalidates i’tikaaf. 2. Also a condition of i’tikaaf is not to have intimate relations with one’s wife. 3. While staying in one’s home to devote one’s self to worship is commendable, the concept and condition of actual I’tikaaf is in a masjid. 4. Purify your intention – we should be making i’tikaaf to worship and leave dunya matters out of our mind. Yet, I notice that a lot of those who are in i’tikaaf become busy with their cell phones and speaking about worldly affairs. What is the basic goal of i’tikaaf? d) Attachment to dunya. With a lack of the interest in the Hereafter, the eternal abode, and a love of this worldly leisure and relaxation, some people do not want to put forth the effort and discipline for I’tikaaf, even if they would gain the pleasure of Allah Ta’ala by doing so! Whoever understands the reality of this temporary world, and the significance of Paradise and the greatness of its delights, will surely sacrifice his life. “There has certainly been for you in the Messenger of Allah an excellent example for anyone whose hope is in Allah and the Last Day and [who] remembers Allah often” [33:21]. The basic goal of the Prophet’s i’tikaaf was to seek Laylatul-Qadr and to prepare to spend its night in worshipping. That is because of the great virtues of that night of which Allah says what means: “The Night of Al‑Qadr is better than a thousand months (i.e. worshipping Allah in that night is better than worshipping Him a thousand months, i.e. 83 years and 4 months)” [97:3]. In a long hadith narrated by Abu Sa’eed Al-Khudri, the Prophet is reported to have strove to seek that night before he was told when it is, as he started with the first ten days, then he observed it during the middle ten, then he continued to observe i’tikaaf during the last ten days, when he was told that it is in the last ten days. This is the utmost effort to seek Laylat al-Qadr. Are there other aims of i’tikaaf? 2. Protecting one’s fast from everything that may affect it of temptations, desires, etc. What are the rewards for i’tikaaf? Many ahadith encourage us to draw closer to Allah by doing Sunnah acts of worship, and of those acts is i’tikaaf. • In the Hadith Qudsi in which Allah says what means: “My servant draws not near to Me with anything more loved by Me than the religious duties I have enjoined upon him, and My servant continues to draw near to Me with supererogatory works so that I shall love him. When I love him I am his ears with which he hears, his eyes with which he sees, his hands with which he strikes and his foot with which he walks. Were he to ask [something] of Me, I would surely give it to him, and were he to ask Me for refuge, I would surely grant him it” [Bukhari]. 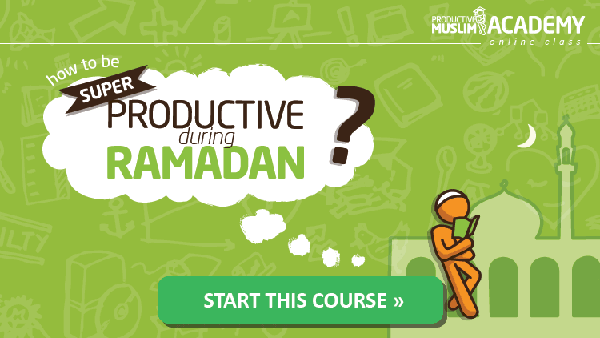 I’tikaaf can solidify your Ramadan and set you upon a path of good deeds, purification, and devotion for the rest of the year – will you take the challenge? Is ten days too much to ask in exchange for eternal reward bi’ithnillah?